Some of you may know that my personal health issue is something called SVT, Supra-ventricular Tachycardia. SVT is when your heart goes into an extremely accelerated rate. I had my first SVT when I was 26 years old. I was working as a Designer in NYC, and had just started my own manufacturing business. I was stressed out to say the least. At the hospital and my appointment with a leading NYC cardiologist, I was offered lifelong heart medication and ablation surgery. Neither of those options resonated with me. 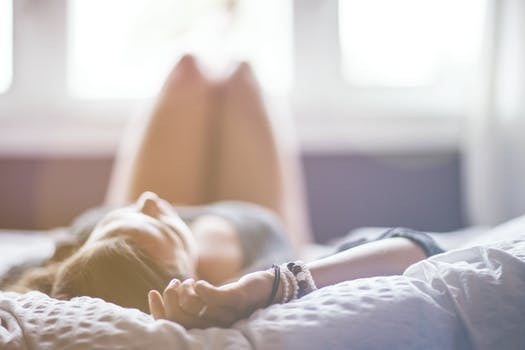 Through the years, I concluded that my SVT was not as RANDOM as the doctors suggested but rather was far more likely to occur when I was pushing myself, eating poorly, constipated, exhausted and upset or angry. 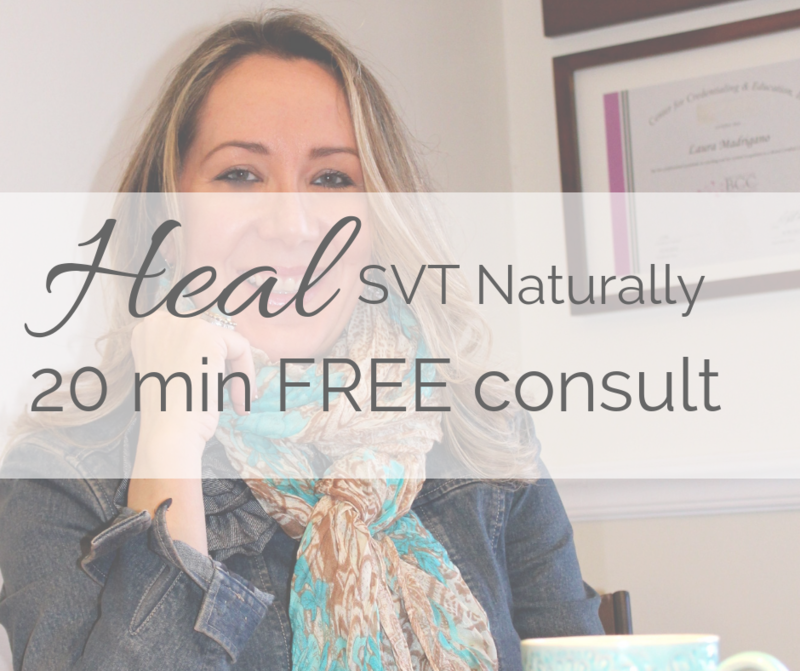 I started a blog called Heal SVT Naturally around 2010 to track my journey to use lifestyle medicine to help myself. Today, it is a leading resource on the internet to help people with SVT apply an integrative approach to SVT by addressing the ROOT contributors. This page is devoted to my SVT research, books, and coaching work, a major part of my life’s mission. xo Listen to your heart! Symptoms, health challenges and dis-ease have a deep message for us. My SVT helped me clear out what wasn’t working for my body, not just nutritionally but emotionally, energetically and spiritually. I changed my Diet and my self-care routines, and learned how to support myself instead of ignoring my needs. Today, I help people with SVT use an INTEGRATIVE approach to invite healing. I also share all of my tips to help anyone, with any health issue, implement self-care and self-nourishment so that you can Feed your SOUL and GROW your business. The self-care and creative tools I use to support myself in life and business…. 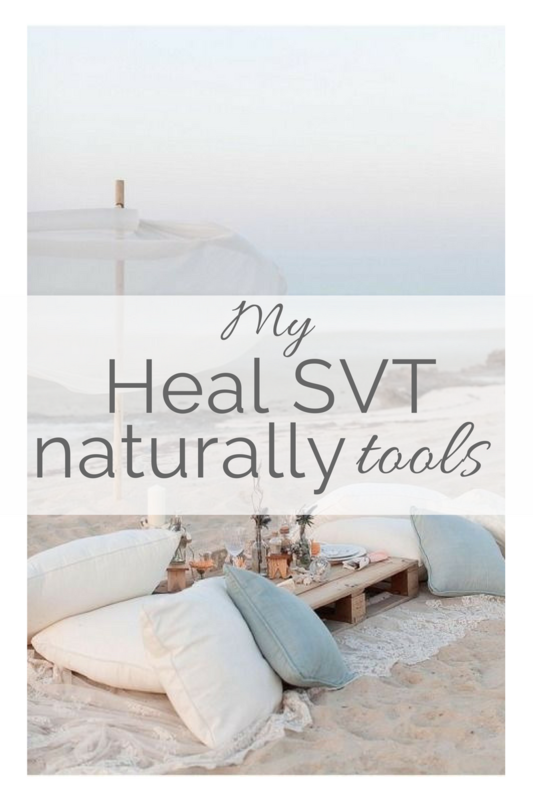 if you have SVT, then check out my www.HealSVTnaturally.com website below! Your heart is speaking to you every day. When we don’t listen or can’t hear it, it tries harder to get our attention. I help people with SVT from all over the world use the same process that helped me to listen to my heart, change the direction of my health and heal my SVT naturally.